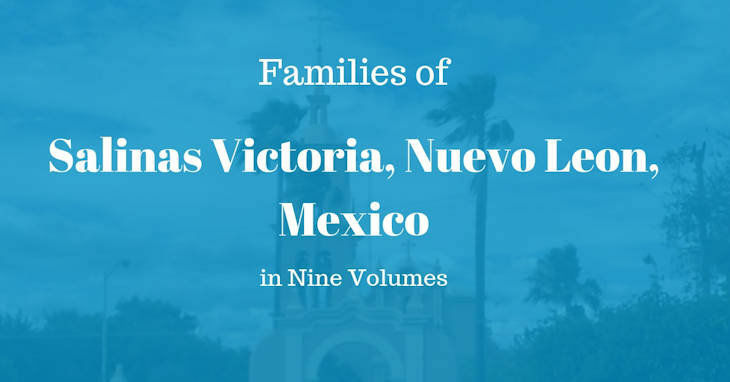 In this post, you will find the ebooks Families of Salinas Victoria, Nuevo Leon, Mexico in Nine Volumes, they are a great resource for your Genealogy research. They were created by Crispin Rendon in his series about Salinas Victoria, Nuevo Leon, Mexico. They are truly a genealogical treasure. This series covers that time period of 1755 to 1769. Make sure and download them to your digital library that way you have them on hand when you need them. Or you can always bookmark this page for future reference. Have fun! Don’t forget to post in your comments if you do happen to find your ancestors using this great resource.